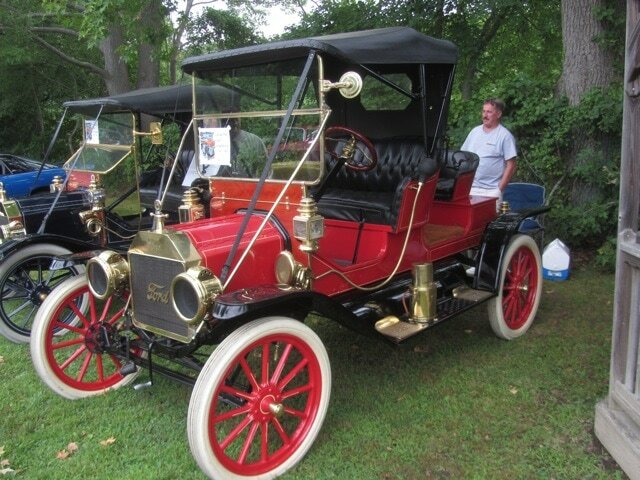 The purpose of the Central Jersey Antique Car Club (the "CJACC"), incorporated as an independent non-profit organization, shall be to preserve and maintain motor vehicles of antique age and historical value and serve as an accurate and technical source of information concerning antique automobiles for the benefit of its members, and the public. 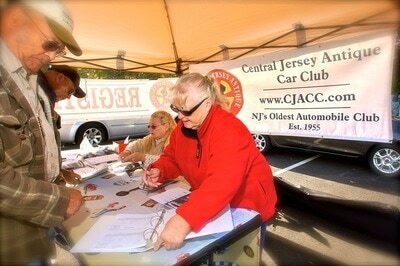 The CJACC is New Jersey's oldest car club, operating non-stop since its inception in 1955. Typically, a vehicle is considered to be antique or classic if it is at least 25 years old; however, collector cars of all ages are welcome at CJACC events, and members of the club maintain vehicles of all ages. One does not have to own an antique automobile to belong to the Central Jersey Antique Car Club, just have an interest in classic cars. Our club is diverse, with all makes of cars, trucks, and motorcycles. Programs offered by the CJACC include historical presentations, restoration tips and a reference library. Events for club members include a family picnic, a holiday dinner, “Hobby Night” and covered dish suppers. And of course, the club sponsors and organizes numerous car shows, including annual events at Haldeman Ford in Hamilton, the Trenton Farmer's Market, and several other facilities. 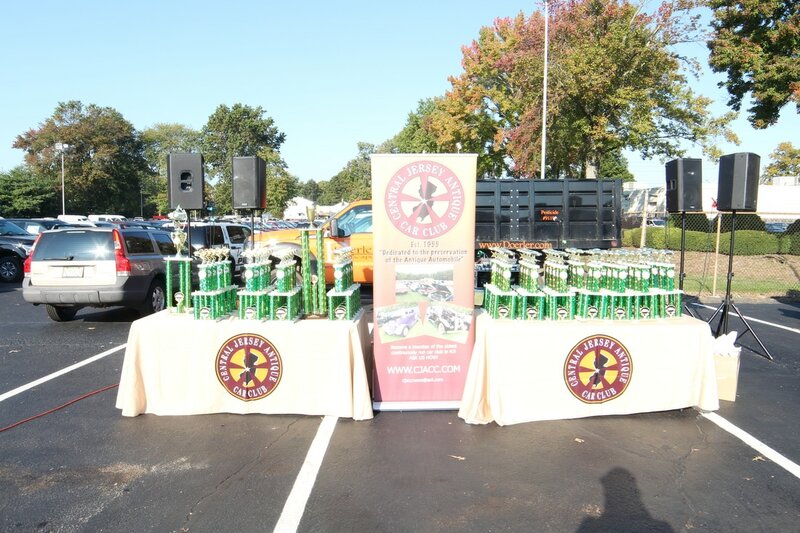 Our annual Community Day car show attracts more than 200 cars each year at varying locations; this year, it was held at the Hamilton Marketplace Shopping Center on Route 130 in Hamilton Township. The club has sponsored Cruise Nights at Captain Paul’s Firehouse Dogs on Princeton Pike in Lawrenceville and Ray’s Deli on Pennington Road in Ewing. Currently we host a monthly Cruise Night at the AMC Theatres on Sloan Avenue in Hamilton, in partnership with Hot Rides. CJACC meetings are held at 7:00 pm on the third Thursday of each month, except December, in the lower meeting rooms of the Hamilton Township Library on Whitehorse-Mercerville Road in Hamilton Township, New Jersey (Mercer County.) All are welcome to come to a meeting as a guest. From humble beginnings, in 1955, Jack Kennedy and a few pioneering men with an interest in the preservation and the enjoyment of the antique car met in a small, dimly lit back room to share in the fellowship which that common interest inspired. From this initial meeting evolved what is today known as the Central Jersey Antique Car Club. 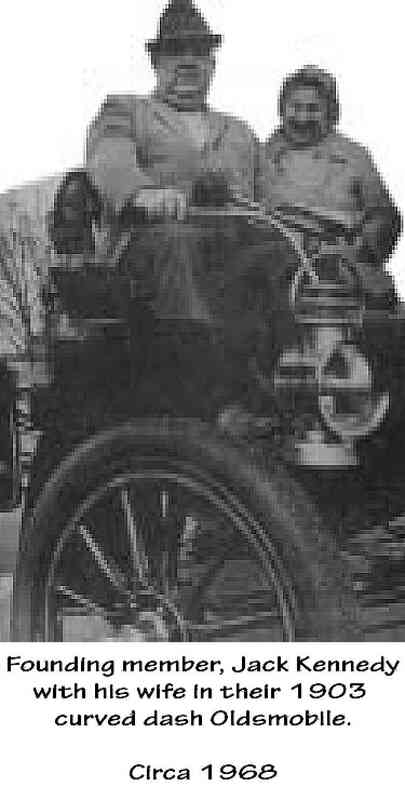 Originally chartered with an affiliation to the Horseless Carriage Club; and until 1981, known as the Horseless Carriage Club of Trenton, Inc.; the club grew and flourished. Today, the Central Jersey Antique Car Club, Inc. is based in Hamilton Township and anchored by a steady and growing stream of men and women who share that same zeal, zest and desire for camaraderie that the love of the antique car inspires. The heart and soul of the original club has endured and success - fully transcended generations. The love of the antique car knows no boundaries. As demonstrated in our roster, while based in Hamilton Township, the club draws its membership from throughout the region, including parts of Pennsylvania. 2005 marked the 50th anniversary of the founding of our beloved Club. Over the past five decades, now spanning the 20th and 21st centuries, the faces and cars have changed but the heart and soul of the club endured.